Make each racer feel special with the Auto Racing Action Resin. 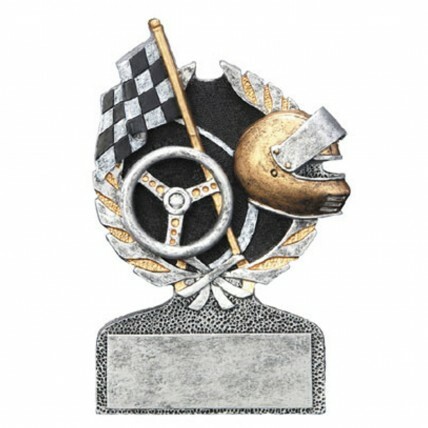 This 5" two-tone award features car racing icons; helmet, flags and steering wheel. The cast resins resemble pewter with golden highlights.